Here are five diverse titles that are perfect for someone on your Christmas list. Tantalizing paintings by LDS artist Greg Olsen are featured in the gift-sized book Stars Were Gleaming (Deseret Book 2014, about 30 pages in hardcover, $15.99). His sepia-toned Santa scenes are interspersed with reverent art depicting the Savior’s birth. Thoughts and quotes from Church leaders past and present appear alongside the text of traditional carols and scriptures. It’s a lovely combination of art and words. 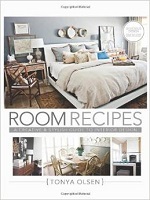 HGTV and home makeover addicts as well as serious decorators will appreciate Room Recipes, by designer/mom Tonya Olsen (Plain Sight Publishing 2013, 254 pages in hard cover, $26.99). Subtitled A Creative & Stylish Guide to Interior Design, it’s a delectable mix of simple ideas and how-to instructions, all illustrated with the author’s own photos. Rather than being organized by a specific style, the book features six basic divisions (welcome, live, eat, sleep, work, and wash). Olsen breaks each pictured room down by basic ingredients and general instructions, then adds a few “’garnishes” that teach elements of design and encourage personalization. My only caveat about this otherwise highly attractive book is that the type face needs to be more readable (read “larger”). I had not heard of Matthew Bowman or his book, The Mormon People: The Making of an American Faith (Random House 2012) when I stumbled across it in a dollar store in Delaware recently. 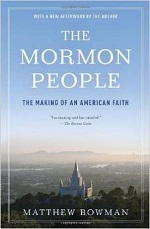 Although slightly dated by mentions of Mitt Romney’s presidential candidacy and Julie Beck as general president of the Relief Society, The Mormon People is a solid and balanced overview of Church history by a practicing Latter-day Saint scholar, along the lines of his mentor Richard Bushman’s biography of Joseph Smith. Covering touchy subjects such as polygamy, the Mountain Meadow massacre, and racism in a readable, documented style, Bowman puts people and events in the context of their times. His appendix of brief profiles of presidents and other prominent people in the Church are notable for what they don’t say as well as what they do. How I missed this gem when it came out I’ll never know. It’s a treasure (329 pages in hardcover). In Mentally Tough Teens, mental conditioning coach Justin Su’a, a former BYU pitcher and scholar/athlete, shares his tips for success. 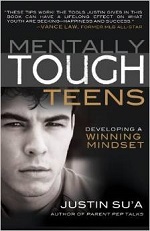 A few brief words such as “Debate your negative thinking” and “Learn as much as you can” are followed by just a few sentences more in this 123-page book, aptly subtitled Developing a Winning Mindset (Cedar Fort 2014, $12.99 in soft cover). For instance, “Give it your best effort” is followed by “Not feeling your best is no excuse for not giving your best. If you continue to give your best, your best will continue to get better. There are many things that you have no control over, but your effort level is not one of them. Sprint to the finish line in whatever you do.” The advice is sound, and the brevity means teens may actually read it. 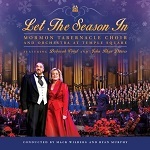 The Tabernacle Choir and Orchestra at Temple Square are featured together on Let the Season In, recorded during 2013’s Christmas concert at the Conference Center. Dramatic soprano Deborah Voight Davies joins the choir in lushly orchestrated renditions of 18 sacred and secular holiday favorites, lending an operatic flair.